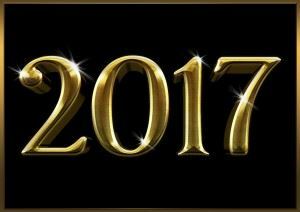 What are some of the things you’re looking forward to in 2017? Is it the return of “Game Of Thrones?” Is it March Madness? Maybe the Super Bowl? There are certainly plenty of things on tap to get excited about. It might help to start the New Year in a home that is free of junk. That might not seem like a fun project to undertake but when you hire Junk King Fort Worth you’ll find that getting rid of your junk has never been easier. That ease starts with scheduling your junk removal session. When you call Junk King Fort Worth to set up your time they’re going to ask you, “what time works best for you” and “what you getting rid of?” Responded with “today” and “not a lot of stuff.” Or “this weekend” and “a ton of stuff.” Junk King Fort Worth can make a positive response to either one of those scenarios or combination of both! It actually doesn’t matter to them how much you want to get rid of they just want to make sure you have enough manpower to get the job done. Every session will be staffed by at least two very capable movers. This is the team is going to do all the heavy lifting for you. But in those instances where you’re dealing with extreme cleanup’s like at a foreclosure property, then Junk King will happily provide additional crewmembers. You shouldn’t hesitate with getting rid of all the things you want to toss out. Junk King Fort Worth is not charged by the pound. Instead, there pricing policy is based upon how tightly they’ll be able to pack up the truck with all your stuff. The crews want to use as little space as possible with every appointment. That allows them to make as many stops as possible back to the depot. The result is that the less space they use the lower price you pay. This is a stream fair approach for this type of service. Anyone suggests that be charged by weight isn’t looking out for your best interests. Opening up more room in your home is as easy as a phone call to Junk King Fort Worth. This entry was posted in junk removal and tagged 2017, Junk King, junk removal, more room on December 31, 2016 by Cody Rodgers. Last updated August 8, 2017 .